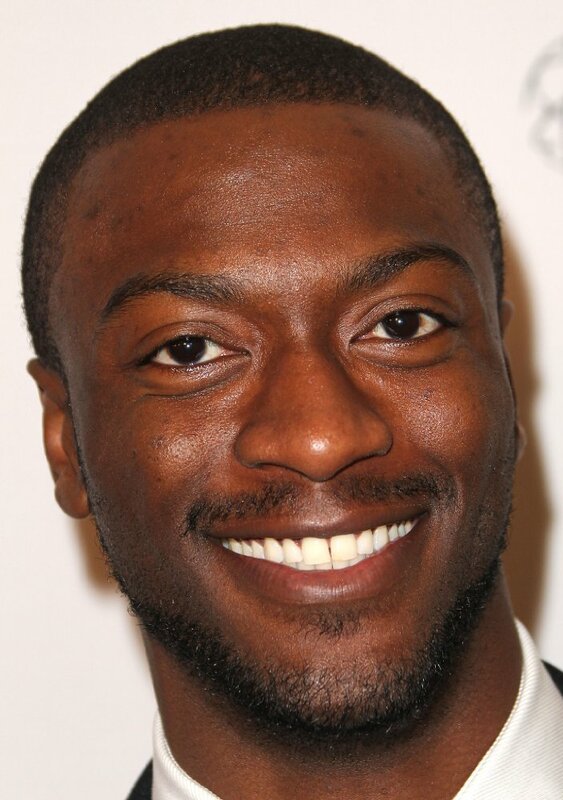 Aldis Hodge is perhaps best known for his role as Alec Hardison on the TNT series Leverage which nabbed a People's Choice Award in 2013, in addition to his role as MC Ren in Straight Outta Compton. Furthermore, he starred in the Amazon pilot The After and enjoyed a recurring role on the AMC Revolutionary War drama Turn: Washington's Spies. Aldis appeared opposite Alexander Skarsgard and Ellen Page in the eco-terrorism thriller “The East.” And he appeared in A Good Day to Die Hard, the latest installment of the “Die Hard” franchise. Aldis started his career at 3 as a model for print ads and commercials. He made the transition to the small screen when he and his brother Edwin were cast on Sesame Street. Later, they joined the Tony-winning revival of Showboat on Broadway. During that period, he parlayed his success on stage into a movie career, debuting in Die Hard with a Vengeance, before making Bed of Roses, The Stone House, Edmond, The Ladykillers and Big Momma’s House. Aldis' television roles include the critically-acclaimed series Friday Night Lights, Supernatural, The Walking Dead, Girlfriends, American Dreams, City of Angels, Bones, CSI: Crime Scene Investigation, ER, Cold Case, Charmed and Boston Public. Born in Jacksonville, North Carolina, but raised in New York and New Jersey, Aldis is an avid scriptwriter, designer and painter in addition to acting. Here, he talks about playing Levi Jackson in the Oscar-nominated Hidden Figures and about reprising the role of Noah on the television series Underground about the Underground Railroad which just started its second season on the WGN America network. Kam Williams: Hi Aldis, I'm honored to have this opportunity to speak with you. Aldis Hodge: I appreciate your time as well, Kam. KW: Congratulations on the second season of Underground. What first interested you in doing the series? AH: I enjoyed the way the story was written. I was intrigued by the narrative showing people rising up and fighting for their freedom. KW: What can we expect to see new this season. AH: I'll put it like this, brother. Everybody thought it couldn't get crazier or more dangerous, but it does. Last year, everyone was focused on this idea of freedom and just getting off the plantation without contemplating the harsh reality of what that really meant. At the end of the season, we were pretty much split up. Now, you get a pretty introspective view of each character. We're all dealing with the consequences of what transpired last season in our own way. My character, Noah, was learning what it meant to try to be a leader. This season, he's learning more about who he is as a man. Right now, the strength of his love for Rosalee [played by Jurnee Smollett-Bell] is more important to him than freedom, whereas last year was purely about survival. KW: What's it like acting opposite Jurnee? AH: She's awesome! That's my road dog right there. Our characters go through so much together this season that we have to depend on each other emotionally as actors. We didn't share a lot of scenes together because our story focuses on Noah and Rosalee's trying to get back to each other. We see that their love transcends their situation. There's still a very powerful connection between them, and we had to develop that. So, we had to take a different approach, and Jurnee was there 100% of the way. She is an absolute beast! KW: What's it been like working a real-life icon, Harriet Tubman, into the story? AH: It's great that we get to honor Tubman's legacy through a real-life representation, although we'd already paid tribute to her last season. It's not really a different approach. The only thing that's changed is that we have a fantastic actress in Aisha Hinds materializing Tubman. Aisha does a fantastic job of enabling us to explore who Harriet Tubman was. KW: Congratulations on Hidden Figures' win at the Screen Actors Guild awards. Were you surprised? AH: It was a huge surprise. We were all blown away. The girls [Taraji P. Hensen, Janelle Monae and Octavia Spencer] were all crying, and I think I might have dropped a tear or two, too. The film has gotten so much love. It was awesome because this award was coming directly from a pool of several hundred thousand actors. Our peers! So, we were very grateful. KW: Why do you think Hidden Figures has made the most money of all the movies nominated for the Best Picture Oscar? AH: It's absolutely because of the message. Granted, a big part is that people will go to the theater and enjoy it. But I think the primary reason it's been so effective is that it represents the antidote to some of the cultural issues we're still dealing with as a nation. It illustrates what can be accomplished when you look beyond the prejudices and stereotypes and allow equality to win out overall. These women accomplished what they did in spite of segregated bathrooms, and not having equal pay or the right to vote. That made it an inspiring film for both little girls and boys. It's exactly what America needs right now. KW: Your mom is from the South and your father is from Dominica. Did they ever talk to you when you were growing up about any racial discrimination they experienced? AH: Yes,my mom experienced racism. She was harassed by the KKK several times. And I experienced racism myself, growing up. In New Jersey, we had trash thrown on our lawn every day. And we had the lines to our Christmas lights cut three years in a row. We just stopped putting up Christmas lights after that. That's probably why I still don't put up any lights during the holidays. People talk about Jim Crow as if it's dead. Jim Crow isn't gone. It's adjusted. Look at the disproportionate sentences meted out to blacks caught up in the criminal justice system. There's a problem when people profit from putting and keeping African-Americans in prison. We need to do a better job as a nation understanding the real values the country's built upon in terms of fairness, equality and equal opportunity. That's why I like being a part of projects like Hidden Figures and Underground. They illustrate mistakes of the past we need not repeat, as well as the beauty of the progress achieved when everybody cares about the underprivileged. KW: Editor/Legist Patricia says: I recently saw Hidden Figures and I loooooved it! I even started to read the book before there was talk about releasing the film. Were you familiar with the role these women had played in the NASA space program before you got the script? AH: Yes, but I didn't know much beyond the fact that there were these black, female mathematicians who had accomplished this great feat. KW: Patricia continues: You write scripts. Is there a story special to you that you would like to see turned into a film? 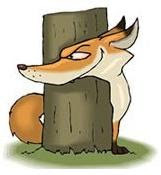 AH: Yes, I have a few projects that I'm already working on right now that I have to keep under wraps. I also think the Emmett Till story needs to be told, because his accuser just came out and admitted that her story wasn't true, and because his murderers bragged about lynching him after they were acquitted, since they couldn't be tried twice. again, problems with the legal system. KW: Lastly, Patricia says: Your parents served in the U.S. Marine Corps. Did you travel a lot with them growing up? If so, was it useful in your up bringing? AH: Yeah, when I was younger, we moved from North Carolina to Hawaii, and then from Hawaii to New Jersey. Nowadays, my job keeps me traveling on a regular basis, and I think my childhood did prepare me for it. AH: [LOL] What’s in my wallet? Just my business card. KW: Keep up the good work, Aldis, and I look forward to speaking with you again soon. AH: Likewise, Kam. Thank you.